I’m not exactly sure how Dungeon World wants to approach the subject of dungeons. On the other hand you should “play to find out” and on the other hand the use a ready dungeons seems to be the way to go. As the correct answer of “how I should do it” is always “however you feel most comfortable with” I’d like to discuss the topic of not using pre-made dungeons. When the party in our game inevitably entered their first dungeon (a small basement under a ruined temple) I did not have anything planed out. I really wanted to test out how the system works for this kind of “empty space”. And it kind of worked. At this point I must clarify that I came to the Dungeon World from tremulus and was accustomed to the style it handled new locations. It provides a couple of moves that can be used to determine out surroundings of the characters and while Dungeon World does not have something exactly similar some moves can be used in their place. So I let the players narrate what they find, make a couple of rolls and went with it. And it kind of worked. The biggest problem with this kind of approach is that most players are accustomed into dungeons where everything is in its place (though if they are playing Dungeon World they should not have such attitude to begin with). This might lead into situations where the players simply expect the GM to provide them with an interesting and lively dungeon. Dungeon World does not have a set of “dungeon building moves”. I actually think they should be there as most other topics are covered to help the GM in their narration. It is not that difficult to come up with a set of definitive moves for such occasions or raiding the internet for something similar to be used. In fact I would encourage all GMs to do so – maybe even getting some complete settings made for Dungeon World (my go-to setting is Blackscale Brakes by Awful Good Games). Once the players entered the dungeon of the Fernkeep I had to make up something. When making threads you should always think of the possibility of dungeons (or the fact that they really should be there). Write up most important details that you need to include for the players to reach their goal. But leave other things out. 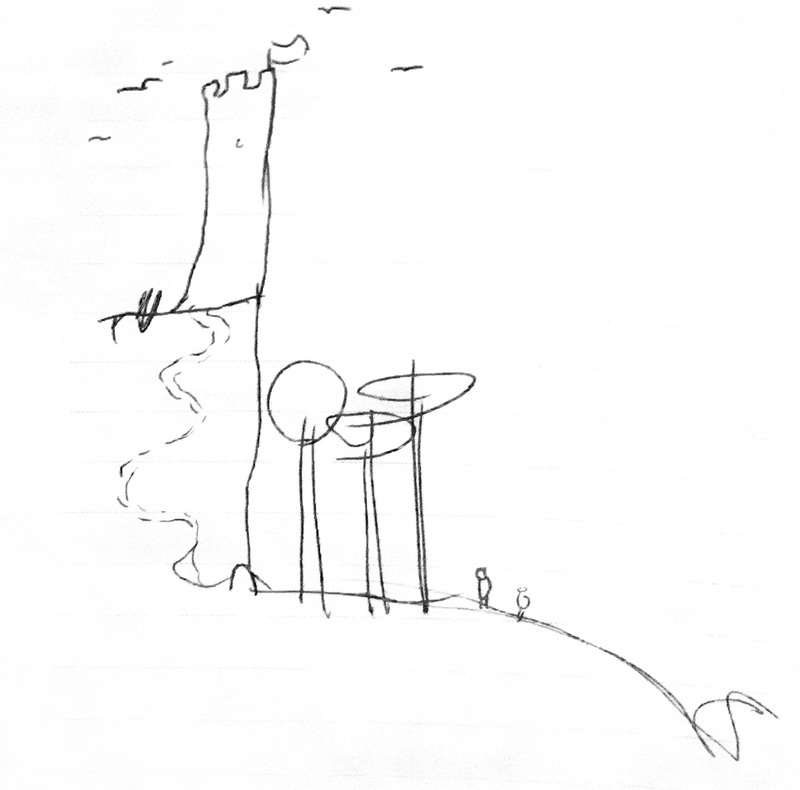 For a necromancers tower in our game I thought of the appearance of the tower and that the necromancer is (naturally) at the top of the tower. Other than that it all came naturally from the flow of the story. We haven’t yet get past that since the players kept of failing their rolls and I had to drive them out of the tower before they were smashed. Everything flowed from the story as we moved on. I wrote details down and came up with new ones when they were needed. It was as exciting for me as for the players as I new little of what they would encounter. This came with a price though. I remembered an example from the Dungeon World corebook about the eyes of a golem acting as a trap and a key. I decided to use something similar and foolishly did not alter my plans even though the players simply did not take my hints. What I should have done was to allow them to use some literal or non-literal backdoor to bypass this guardian when it became apparent that they were not going to get it to work. On the other hand they failed almost every roll they made in that room so I did need to punish them but on as for the narrative of the story I should have kept them failing forward. So in addition to a list of possible things you should have some kind of idea of how to cheat. What in your world allows the players to get past obstacles they simply cannot overcome? 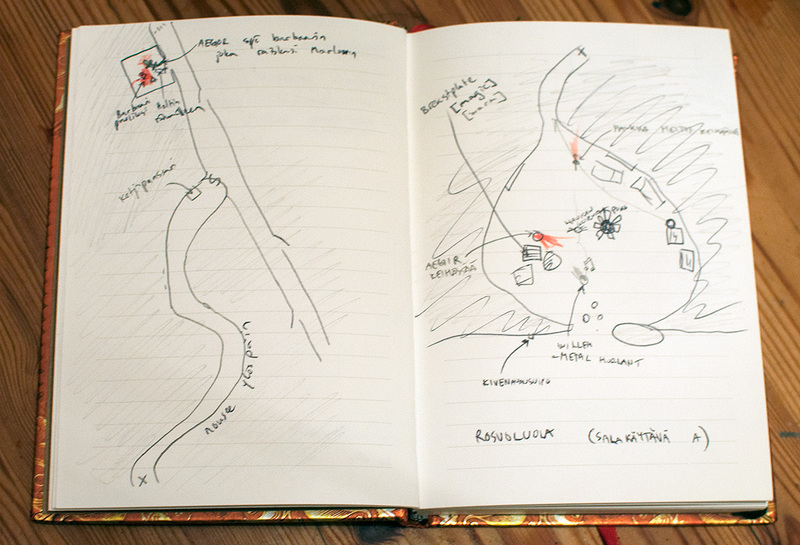 I have run the free introduction adventure The Slave-Pits of Drazhu (you can read about it here) and used the maps that came with it. But for me it was kind of cheating. I did not get as much as a GM from that adventure as I have gained from our campaign. Mainly because I knew what would come and what the players simply missed because they chose a certain route. Naturally this kind of approach where the maps and action are ready is necessary for games of limited time and are quite good for getting to now the Dungeon World. But when you are accustomed to running Dungeon World you definitely should at least try to run a dungeon without any plans. 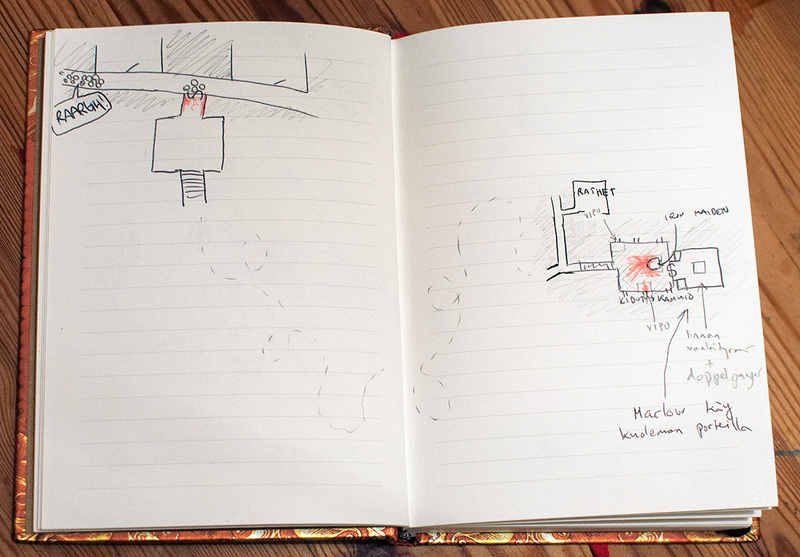 When they entered the dungeons again I needed something more detailed and added things as they were needed. This entry was posted in Dungeon World, Roleplaying Games and tagged cheating, Dungeon World, dungeons, fantasy, rpgs, Sylvan World by Lauri Maijala. Bookmark the permalink.